Everyone has seen a tennis player do something silly, make a face, get a laugh out of the crowd. If you captured with your digital camera or your video camera a tennis player on the court doing something that’s not just hitting the ball back and forth — share it with the rest of us. 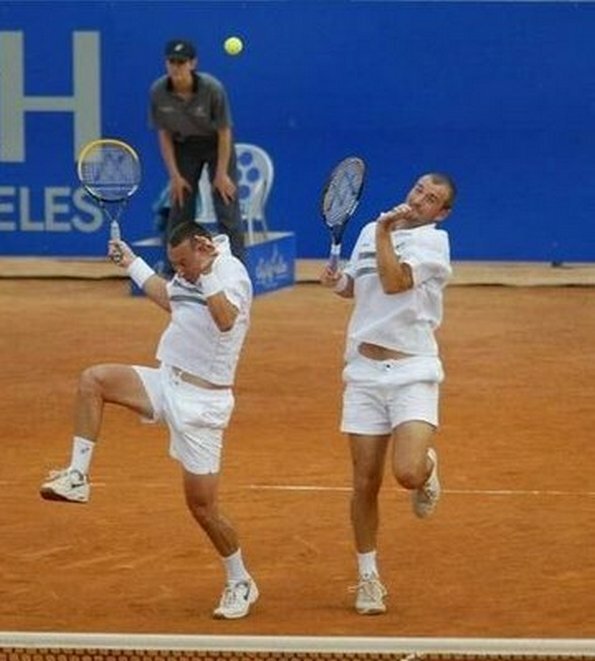 Here are some of the finest examples of funny tennis photography showing some of the funniest moments that happened on court in the history of the tennis sport. We can all use a good laugh, so enjoy this gallery and try to find some more of these fantastic photographs or use your camera to capture some more.